Un concepto nuevo, "accessibility acceptance criteria", aunque en realidad es muy similar a otros conceptos como "checklist" o "conformance requirements": Improving accessibility with accessibility acceptance criteria. 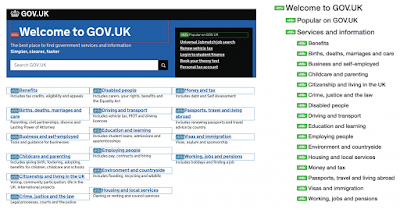 They are a list of conditions that a user interface must meet to be considered accessible. 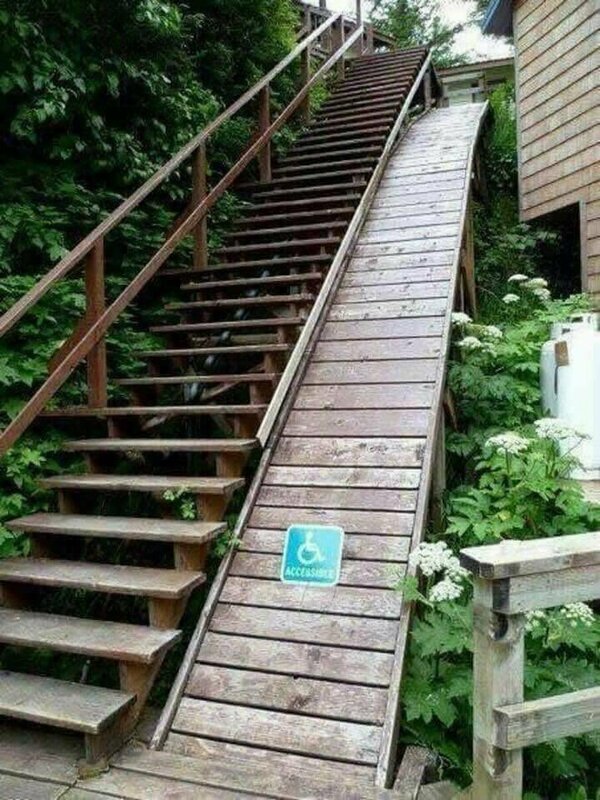 They help us raise awareness of access needs and maintain accessibility as we iterate. Be aware that accessibility acceptance criteria alone won’t make your service accessible – read more guidance on building an accessible service. 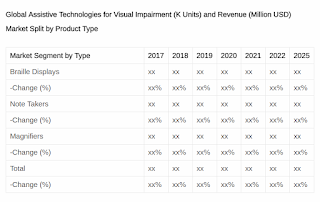 He encontrado la página Assistive Technologies for Visual Impairment Market Research on Technology 2018 to 2025 y no sé si es de verdad o es una broma. 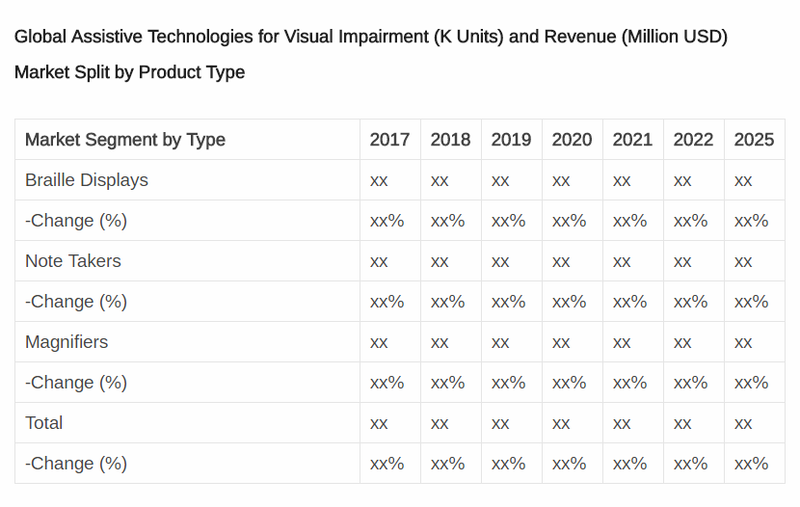 “Global Assistive Technologies for Visual Impairment Market Research Report 2018” provides a unique tool for evaluating the market, highlighting opportunities, and supporting strategic and tactical decision-making. This report recognizes that in this rapidly-evolving and competitive environment, up-to-date marketing information is essential to monitor performance and make critical decisions for growth and profitability. It provides information on trends and developments, and focuses on markets and materials, capacities and technologies, and on the changing structure of the Assistive Technologies for Visual Impairment Market. This report studies the Assistive Technologies for Visual Impairment market status and outlook of global and United States, from angles of players, regions, product types and end industries; this report analyzes the top players in global and United States market, and splits the Assistive Technologies for Visual Impairment market by product type and applications/end industries. En la accesibilidad digital a veces también ocurre lo mismo. 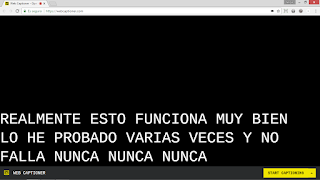 Impresionante la página web Web Captioner que permite mostrar transcripción de lo que se dice, por ejemplo en una conferencia, en tiempo real. Analizamos la accesibilidad de contenidos web y otras tecnologías para verificar el grado de adecuación a los estándares de accesibilidad, realizando una descripción de las barreras identificadas y proponiendo soluciones para su eliminación, garantizando el cumplimiento de las directrices internacionales y de la legislación vigente en cuanto a la accesibilidad de los contenidos. Certificamos la accesibilidad de algunas tecnologías (Web, aplicaciones móviles, etc. ), ofreciendo un distintivo de calidad a las organizaciones que apuestan por la accesibilidad TIC. Además, realizamos revisiones periódicas de las tecnologías certificadas para asegurar el mantenimiento de los niveles de accesibilidad alcanzados. Y también un simulador de visión de bebé, Tiny Eyes. Nielsen Norman Group, la empresa de los dos guruses de la usabilidad, ofrece la guía How to Conduct Usability Studies for Accessibility. Lástima que sea de pago, la licencia individual cuesta $82. 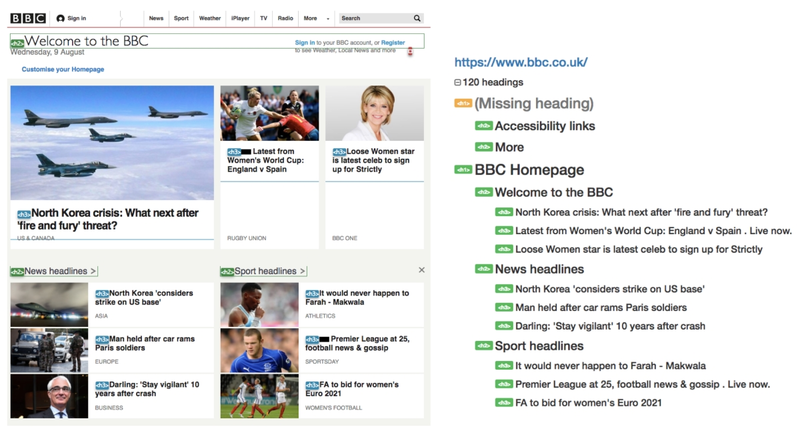 El artículo Screen Readers and CSS: Are We Going Out of Style (and into Content)? 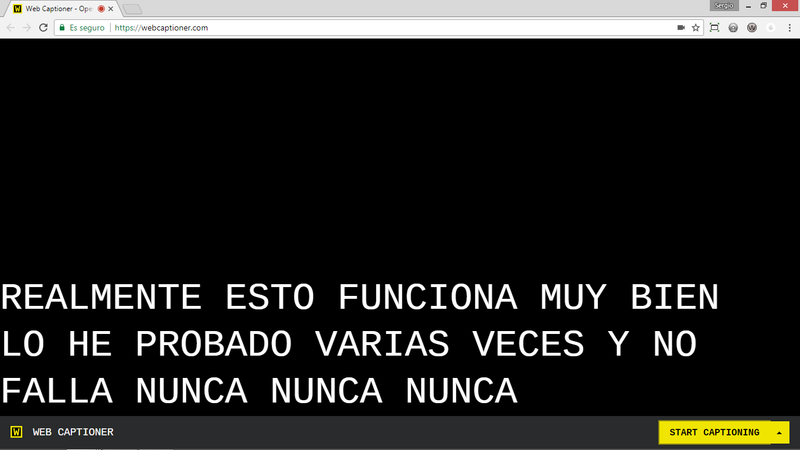 analiza cómo algunas propiedades de CSS influyen en la interpretación de las páginas web por parte de los lectores de pantalla. All of this really highlighted the value of accessibility-minded development and pre-launch testing—in a wide variety of browser-screen reader combinations—to ensure that all website visitors enjoy a consistent, equivalent experience. El pasado 2 de abril se celebró el día mundial del autismo. The Web Content Accessibility Guidelines (WCAG) 2.0 are the most popular standard for web accessibility, and have been cited by the U.S. Department of Justice as an acceptable metric for compliance with the Americans with Disabilities Act. WCAG 2.0 contains several guidelines to help people with four different classes of disabilities: vision, hearing, motor, and cognitive. Navigation and layout should be consistent across the entire site. Performing the same or similar actions on similar user interface elements should produce similar results. The site should still be usable at larger text sizes and should still function with images and styles disabled. However, images, icons, and graphics that help with comprehension can be included. Clutter and distractions should be minimized. 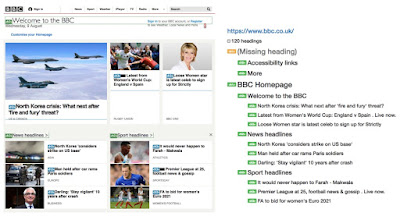 Style and white space should separate content and direct the user’s attention as appropriate. The text should be as simple as possible, while providing definitions for any non-standard terms, such as idioms, jargon, and abbreviations and acronyms. Correct grammar and spelling are important. Users should have as much control as possible over the site’s behavior. Avoid time limits on content or automatic refreshes whenever possible. Provide clear instructions and error messages when filling out forms. Y empieza diciendo "Renfe tiene muchos problemas de accesibilidad"... Vale la pena escucharlo.